Meet Dave. Dave is your regular student at the academy. He does his usual routine of opening his Windows 10 laptop in the morning while having a nice cup of coffee and a freshly baked bagel straight from the bakery downstairs. He proceeds with his day by opening his mobile and checking the latest updates in on his school’s SharePoint portal and checking the progress of the academy’s projects and events. He finishes up everything before lunch and sends a group meet up for a project to his classmates. Dave is just one of the millions using Microsoft tools for their everyday working lives. Today, even schools now transcend the desks of the classrooms and learning is now jumping from platform to platform, device to device. The same can also be said in our schools and universities where each student and teacher has their own devices and apps spread across the institution. This dynamic workflow demands a keen attention to device and identity management across the board. Microsoft Office 365 is the foundation you need in this very volatile period of digital disruption and one of its key features is a single sign-in across all the tools you need. This is a strong feature in today’s context where everyone in the classroom has more than one device and that they operate on. With that said, a good IT specialist would opt for an efficient workflow solution to address the needs for a sound device and identity management. Every company out there has embraced the integrated workflow and it will soon reflect the needs that many schools and universities will need to address in producing the workforce. 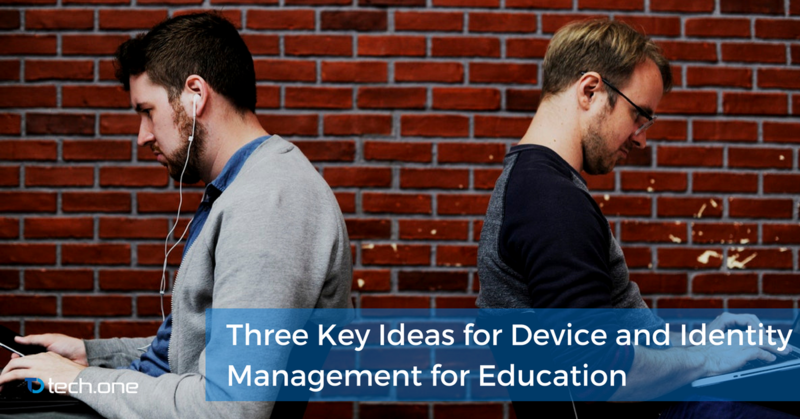 A key step is to integrate a collaborative theme in device and identity management as early as high school in the curriculum — a pipe dream for now but is starting to become a reality especially with the help of many institutions like Tech One Global. Nothing can beat disruptions like staying updated. Be keen on finding the right events and partners that can help you hone your knowledge base. Brushing up on articles is a good habit but even better than that is exposure to key events hosted by experts like Tech One Global. We are at the most volatile economic era in the history of humanity and staying up close with disruptive technology is a rare privilege especially for the education sector. This is true even for big countries like the United States where finding the right skills for tech is still a concern for many industries. With that said, investing in partnerships that give the students the proper exposure will surely be an edge in these changing times. Microsoft and Tech One Global’s mantra is simple: to allow every person on the planet an equal opportunity to disrupt the modern workplace. This is reflected true with applications like Enadoc and the all-encompassing Microsoft 365. Together with Microsoft, we at Tech One Global believes that passion creates innovation and no better way to instill technological passion than to teach it to our students.